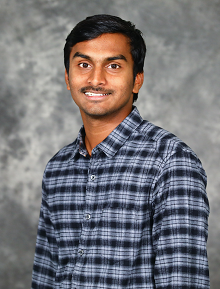 Arun Rakhelkar (“Arun”) works on back-end technologies and machine learning at GenY Labs. Prior to GenY Labs, Arun worked for a startup which worked on personalized learning programs for students using AI. His initiation into the machine learning domain came from his undergraduate education, where he worked on complex NLP problems such as pun/sarcasm detection. Arun is B.Tech graduate from International Institute of Information Technology, Hyderabad. He is an active soccer player.